Organization’s new Early Childhood Achievement Gap Solutions Program, one of its three ‘Direct Impact Programs’, is now fully funded for three years under the organization’s new dual philanthropic model. 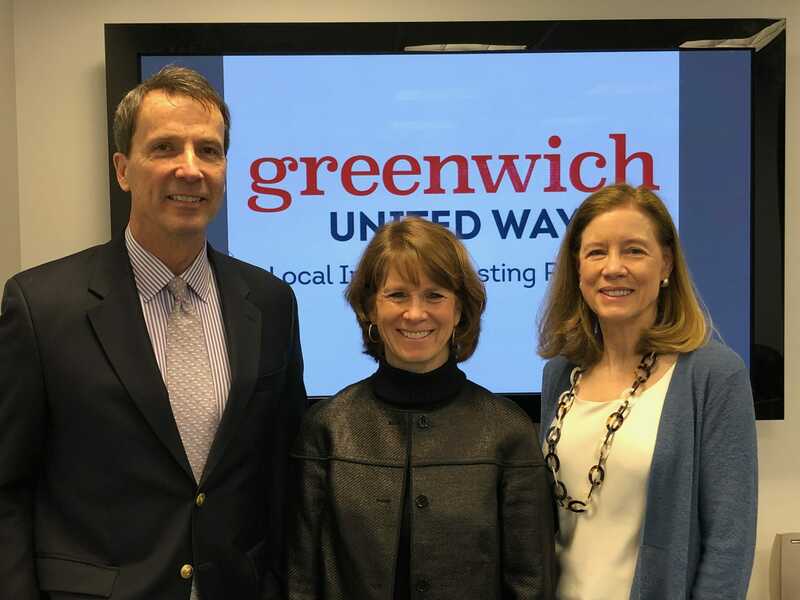 Greenwich Alliance for Education was the initial funder for Early Childhood Achievement Gap Solutions over sixteen months ago and also closed the three-year funding goal in early February, allowing the Greenwich United Way to announce the launch of this program. GREENWICH, Conn., — The Greenwich United Way’s Early Childhood Achievement Gap Solutions (ECAGS), one of its Direct Impact Programs (DIP), employs a two-pronged approach and is the first of the three DIP programs to reach its fundraising goal. The program was created to close the achievement gap in Greenwich. The proven, data-driven program is launching in collaboration with Family Centers, YMCA of Greenwich, Greenwich Public Schools, and others. All are working together to solve this persistent issue. In 2015, the President’s Council of Economic Advisors reported that for every $1 spent on early childhood education, there is an $8.60 return. The program has a two-pronged approach. The first prong of the ECAGS program is for at-risk children ages birth to three years old and the second prong addresses children ages three to five years old. The first prong is an at-home visitation program, using a four-step approach to improve the lives of the kids and their parents, called Parents As Teachers (PAT). PAT is a 30-year-old proven data-driven solution to close the achievement gap for at-risk kids who are entering kindergarten. According to research, at-risk kids in Greenwich are entering kindergarten 28 to 36 points behind their non-at-risk peers. The second prong of this program targets children three to five years old by placing a preschool instructional coach in 13 at-risk preschool classrooms to enhance and enrich those curriculums. A Yale University study showed that inserting an instructional coach in preschools is eight times more effective than sending those teachers to traditional workshops. Research also showed that the achievement gap starts before kindergarten and when at-risk children go through both programs they will enter kindergarten on a level playing field with their non-at-risk peers. “The Greenwich United Way partnership in support of future and current Greenwich Public School students contributes to growing a vibrant Greenwich community. With focus, attention, and efforts, the Greenwich community has coalesced around Early Childhood Achievement Gap Solutions in an effort to eradicate pervasive gaps that are evident as early as during the preschool years. With this intervention program and services model, our most vulnerable youth receive expert attention, care, and support in an effort to better prepare them to access educational experiences” said Dr. Jill Gildea, Superintendent, Greenwich Public Schools. Donors interested in learning about all Greenwich United Way Direct Impact Programs can contact Greenwich United Way CEO, David Rabin (drabin@greenwichunitedway.org or 203-869-2221). Visit Greenwich United Way online for more information (greenwichunitedway.org). Visit Greenwich United Way on Facebook (facebook.com/greenwichunitedway), Twitter (twitter.com/GreenwichUW) or Instagram (instagram.com/greenwichunitedway) to learn more about the Organization and people it serves in real time.